A Court of Appeal in Norway has found twenty days’ detention of four children during deportation proceedings to be in violation of their fundamental rights. The underlying problems are addressed in a new law proposal but, despite some improvements, the proposal nevertheless opens up for practice that might easily breach the Constitution and international law. On May 31 in 2017, the Borgarting Court of Appeal in Oslo found that detention of four children aged 7-14 during deportation proceedings in 2014 violated their fundamental rights. Before they were deported to Afghanistan, the children had been detained for twenty days with their parents in Norway’s immigration detention centre at Trandum. The judgment contains over 70 pages of thorough analysis of both facts and law, including the most recent jurisprudence from the European Court of Human Rights. The Court found that the detention violated the Constitution, as well as the European Convention on Human Rights (ECHR) and the Convention on the Rights of the Child (CRC). Specifically, in regard to the entire family, the Court found a violation of Article 8 of the ECHR on the right to respect for private and family life. In regard to all four children, the court found violations of Article 3 of the ECHR on Inhuman or Degrading Treatment, of article 5(1) of the ECHR on the right to liberty, of Articles 3 and 37 of the CRC, of § 93(2) of the Constitution on Inhuman or Degrading Treatment and § 94(1)(2) of the Constitution on Deprivation of Liberty that constitutes a disproportionate interference. The decision is now final, as the state has decided not to appeal it further to the Supreme Court. Several third parties intervened before the Court, including the UN Special Rapporteur on Torture and Other Cruel, Inhuman and Degrading Treatment or Punishment, the UN Chair-Rapporteur on Arbitrary Detention, as well as the Norwegian Bar Association. As pointed out by the Norwegian National Human Rights Institution in their article in Aftenposten, Norway’s largest newspaper, this is the first time a court has found Norway in violation of the prohibition against inhuman or degrading treatment in respect to children. The Court of Appeal has assessed the facts of the case in light of the latest jurisprudence from the European Court of Human Rights, including five judgments from July 2016 against France. In all of these five cases, the Strasbourg Court found, among other violations, a violation of the prohibition against inhuman or degrading treatment, noting that children must not be detained for an extended period of time. The cases concerned detention of children of four months to four years for periods of seven to eighteen days at the detention centres at Metz-Queuleu and Toulouse-Cornebarrieu. 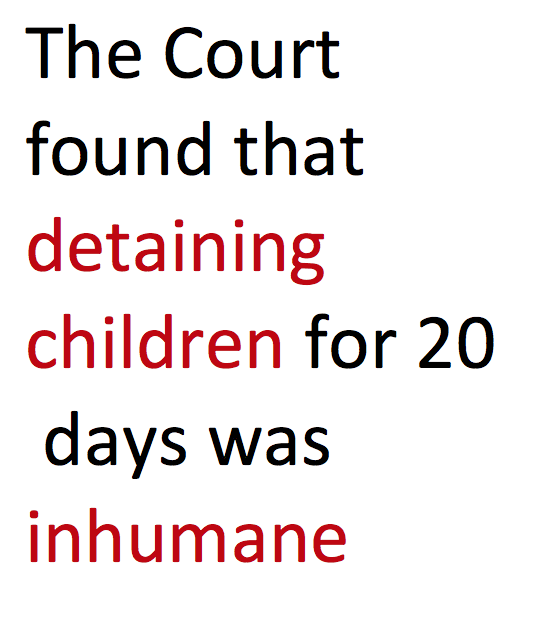 The Court of Appeal’s finding that the twenty days’ detention of the four children at the Norwegian centre at Trandum was inhuman does not seem particularly surprising, as the detention conditions at Trandum and at Toulouse-Cornebarrieu in France are quite similar. Both the Norwegian and the French centre have a relatively strict security regime and are operated by uniformed police, with a potential fear-inducing effect on children. Both are located close to an airport, causing noise from the air traffic. There is also other noise inside the centres, including from adults detained close to the family unit, who at times resort to self-harm or even riots, as has repeatedly happened in the Norwegian centre. When children in addition witness their parents being extremely stressed and without control over the situation, their cognitive development can become irreversibly compromised. As highlighted in the report from March 2015 by the UN Special Rapporteur on Torture and Other Cruel, Inhuman and Degrading Treatment or Punishment, studies have shown that, “regardless of the conditions in which children are held, detention has a profound and negative impact on child health and development. Even very short periods of detention can undermine the child’s psychological and physical well-being and compromise cognitive development”. 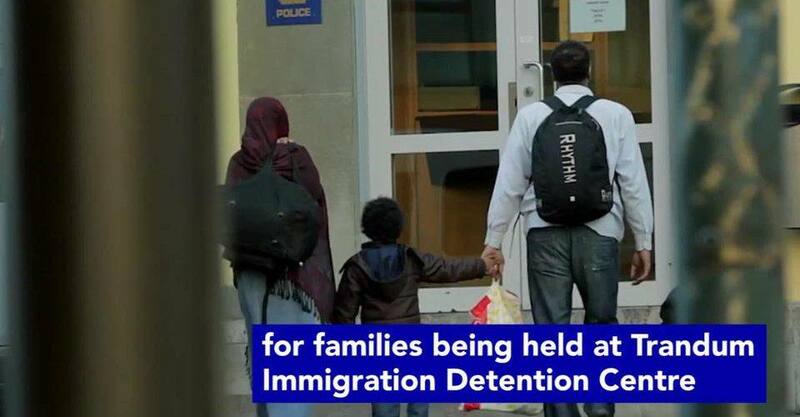 The Court of Appeal was unconvinced that detention of the family beyond the first two days was strictly necessary to carry out the deportation, noting that the state’s apparent approach to assessing the necessity and proportionality of detention was flawed. 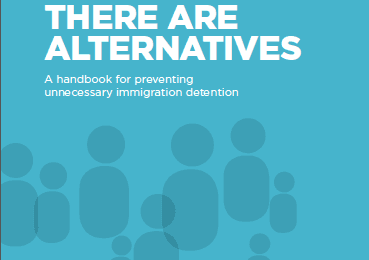 The state’s approach suggested that the requirements for detaining parents are to be assessed first, and the question of whether it is best for the children to be detained together with the parents is to be assessed sequentially thereafter. In the Court’s view, such approach is unacceptable, as this deprives the strict requirements for detention of children of their intended restrictive effect. The correct approach, according to the Court, is to apply the Principle of Strict Necessity in respect to the entire family, taking into consideration the best interests of the child, while carefully assessing whether an alternative to detention is sufficient under the given circumstances. 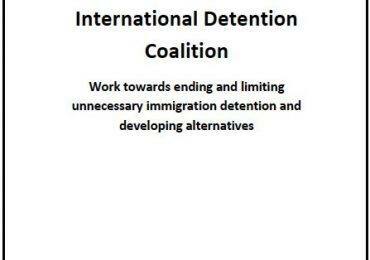 Although the appeal judgment might have come as a surprise to the National Police Immigration Service, which is responsible for managing the immigration detention centre and carrying out deportations, it confirms long-standing criticism by the civil society against detaining children at Trandum. The Norwegian Organisation for Asylum Seekers (NOAS) identified and discussed the specific case at hand already in its report “Frihet først” (Freedom First) published in February 2015. 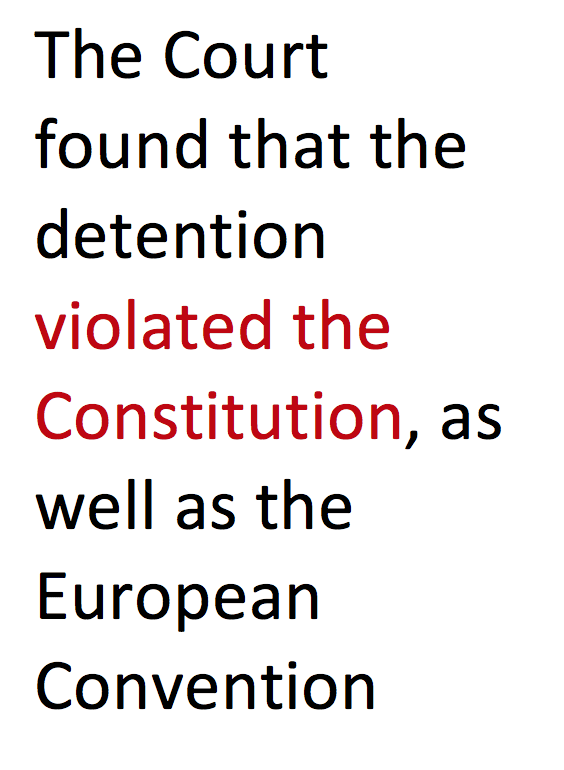 The report argued that such examples constitute a violation of the ECHR and CRC as well as the Constitution, advocating for more serious consideration of alternatives to detention. The Parliamentary Ombudsman visited the immigration detention centre at Trandum in May 2015 and concluded that the psychosocial environment for children did not appear satisfactory. The Ombudsman’s report was partly based on previous findings of the Norwegian Psychological Association’s Human Rights Committee, which found in 2014 that the centre must be considered as inappropriate for children. In April 2017, the Government submitted to the Parliament a proposal to improve the domestic legal framework regulating immigration detention. Most notably, the new framework will address concerns over legal certainty of several crucial procedural safeguards. This is a long known issue, which was pointed out already in a 2012 report commissioned by the Ministry of Justice, and again in a 2014 NOAS’ report. Disappointingly, the proposal does not foresee an absolute time limit on detention of children. Instead, the proposal will allow for initial detention of one day, which may thereafter be extended by court for three days and, if necessary, for additional three days. Thereafter, the court may extend detention for a further week at a time, provided there are “special and strong reasons” to do so. The proposal specifies that the term special and strong reasons primarily includes situations where “the family or the child themselves bear substantial responsibility for deportation not been carried out within the first six days after the arrest, or if there is a clarified point in time for deportation which is near in time.” The proposal stresses that this specification is non-exhaustive. The law proposal foresees construction of a new detention centre with a “more civilian character” for families with children. The Government believes that detention of children in such a specialised centre will allow for longer periods of detention, as suggested by the newly proposed 1+3+3+7+ model mentioned above. The centre is to be managed by the same police unit that runs the detention centre at Trandum, and it will allow for detention of up to three families at a time. As pointed out by the Norwegian National Human Rights Institution, which enjoys an independent and autonomous position under the auspices of the parliament, it is hardly advisable to introduce legislation that balances on the very edge of what is allowed under Article 3 of the ECHR. This can easily lead to instances of courts reprimanding Norway for breaching the prohibition against inhuman treatment in respect to the most vulnerable in the society – again. This article was written by Marek Linha, Advisor for the Norwegian Organisation for Asylum Seekers (NOAS) and IDC Regional Advisor for Northern Europe.